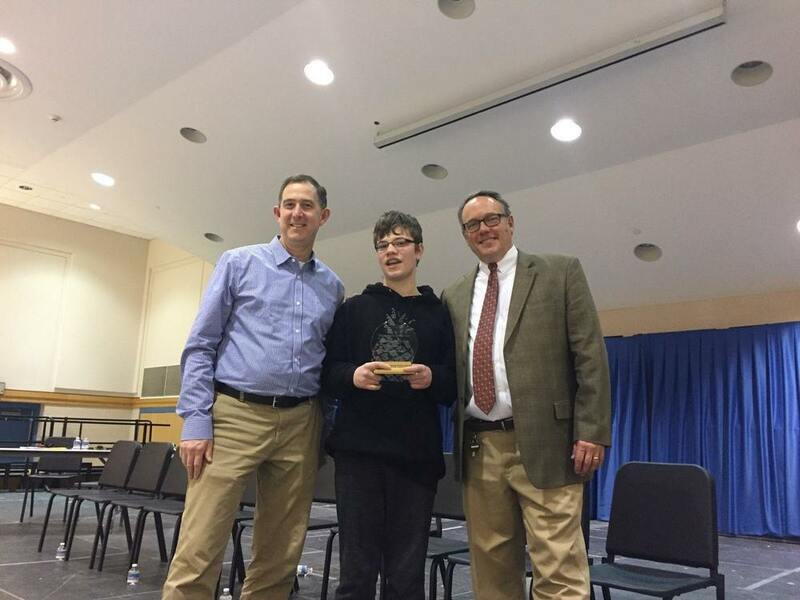 James Carven, in the center of the picture, is the winner of the Fowler Spelling Bee. On the left is Principal Barth, who was the score keeper. On the right is Principal Costello, who was the moderator. A special thank you from the school department for being guest judges goes to Maynard assistant superintendent Jennifer Gaudet and Maynard resident and parent Leslie Knight.